Donors drop off water for the ECISD Donation for Harvey Relief drive Friday Sept. 1, 2017 at in Edinburg. EDINBURG — As fans celebrated the return of Friday night high school football, the thousands affected by Hurricane Harvey were also in their thoughts as school districts across the Rio Grande Valley collected donations for the storm survivors. 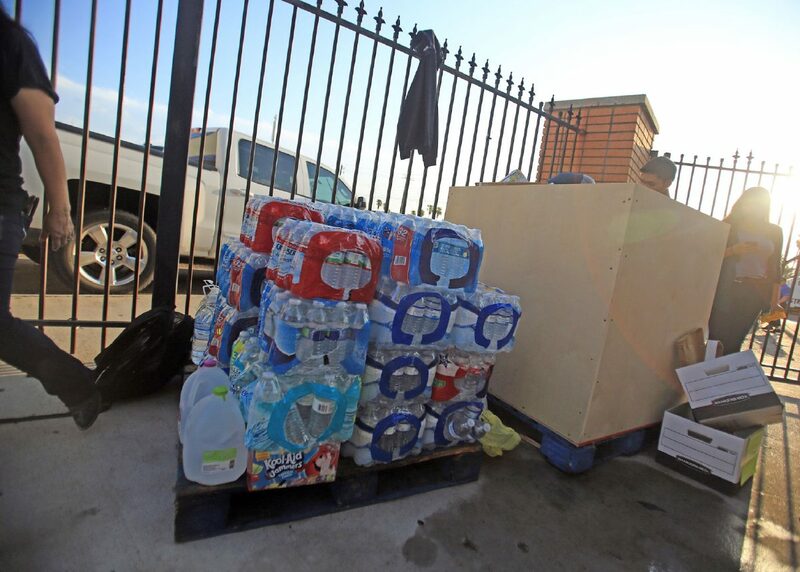 The school districts asked for the public’s assistance in donating items, such as toiletries, clothes and shoes for children and adults, non-perishable foods, water bottles, hygiene products and monetary donations for the victims along the Gulf Coast. The Edinburg school district offered a ticket to Friday’s game in exchange for a donation, while McAllen ISD hosted a Fill the Bus initiative and Weslaco ISD held a Cash or Cans fundraiser. 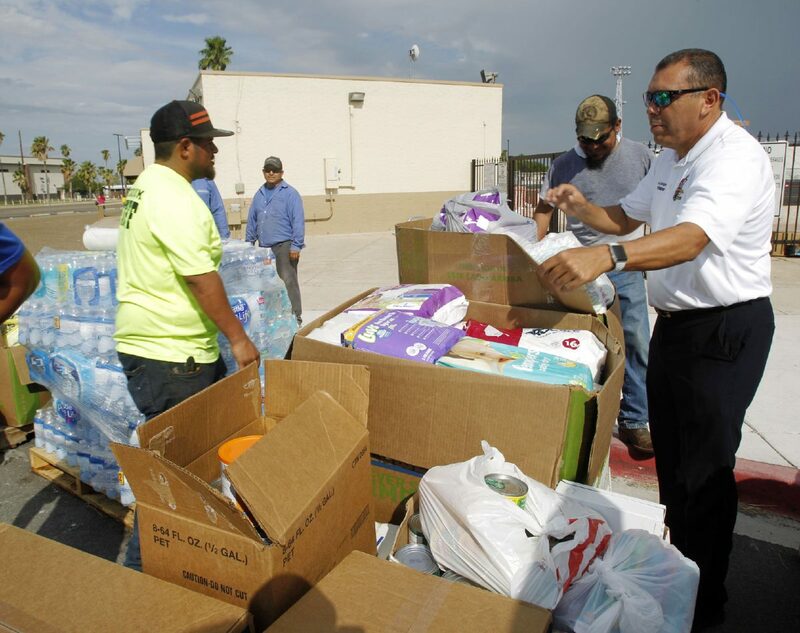 Edinburg Superintendent René Gutiérrez began the Hurricane Harvey Relief Effort initiative with the American Red Cross on Monday and throughout the week the district asked for donations from educators and students, with the final effort coming during Friday’s game. Edinburg Superintendent Rene Gutierrez and other ECISD employees sift through donations bound for Harvey victims on Friday Sept. 1, 2017 atin Edinburg. ECISD employees unload a truck full of water that was donated Friday Sept. 1, 2017in Edinburg. 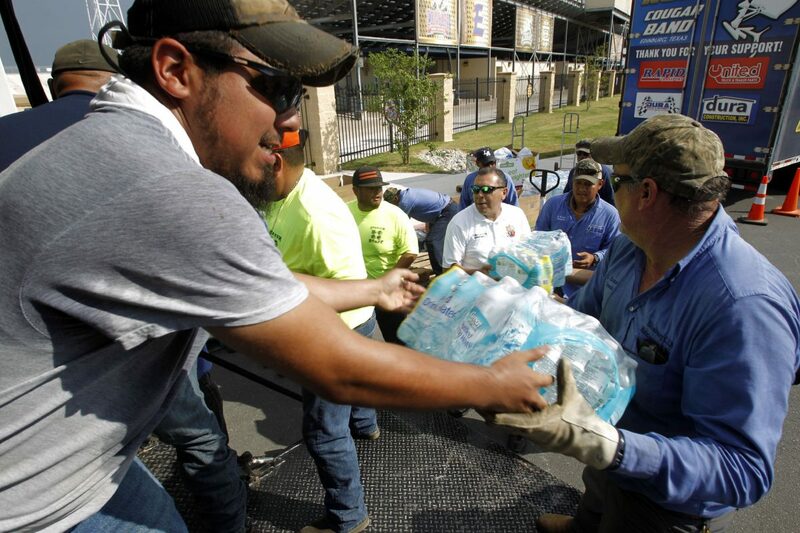 Water and other supplies are collected in support of Hurricane Harvey relief during the Weslaco East vs Sharyland High game at Bobby Lackey Stadium on Friday, Sept. 1, 2017 in Weslaco. The items were collected from the 43 schools within the district and were placed in semi-trailers to be taken to the American Red Cross in Harlingen and distributed to those affected by next week. 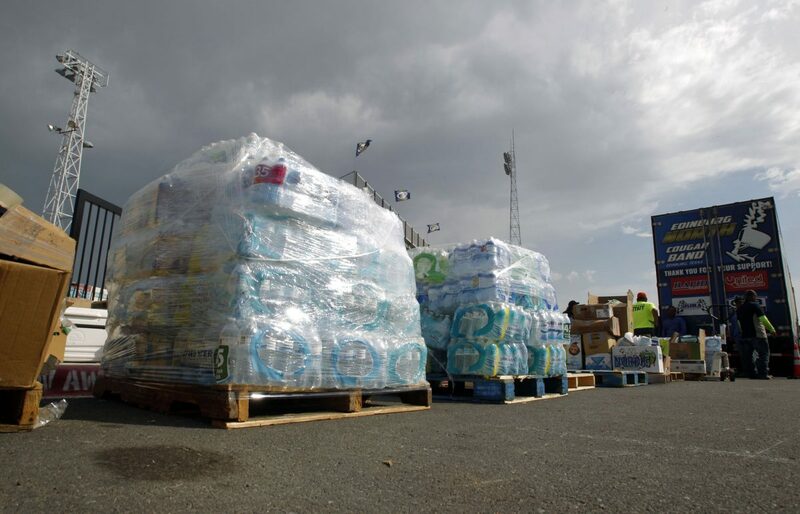 Danella Hughes, American Red Cross executive director for South Texas, said it is the priority and mission of the organization to alleviate human suffering during disasters. Edinburg resident Mauricio Garcia heard about the donation drop-off through a sibling that attends Lincoln Elementary School. “We could build a better community to help each other out because we’re all family,” Garcia said. The McAllen school district, which has become a “sister district” with the Aransas County school district, plans to continue taking collections at McAllen Veterans Memorial Stadium during the upcoming varsity games including McAllen High vs. PSJA Memorial High on Thursday, Sept. 7, and James “Nikki” Rowe vs. Mercedes on Friday, Sept. 8. Donations are also being collected at the district’s campuses.